A leading advocate for public health and the environment for over 30 years, Gina McCarthy will be the Day Two keynote speaker at Discovery 2017. McCarthy will deliver an environmental message that conveys common sense strategies and sustainable solutions backed by science at the annual innovation conference, hosted by Ontario Centres of Excellence. Discovery 2017 participants can look forward to an exciting and informative keynote address about the dangers, challenges and opportunities that face our planet and its people, as well as an energizing call to action. McCarthy is well-known and celebrated for her work with the Obama White House as the former Administrator of the Environmental Protection Agency (EPA). 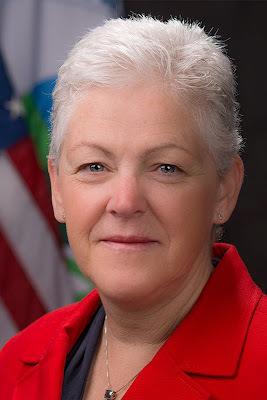 During that time she spearheaded historic progress on the Climate Action Plan to achieve the administration's public health and environmental protection goals. In 2015, McCarthy signed the Clean Power Plan, which set the first-ever national standards for reducing carbon emissions from existing power plants, underscoring the country's commitment to domestic climate action and spurring international efforts that helped secure the Paris Climate Agreement, signed by 175 countries. During her tenure, EPA initiatives cut air pollution, protected water resources, reduced greenhouse gases and strengthened chemical safety to better protect more Americans, especially the most vulnerable, from negative health impacts. Internationally, McCarthy worked with the UN and WHO on a variety of efforts and represented the U.S. on global initiatives to reduce high-risk sources of pollution. McCarthy is currently serving as a Senior Fellow at the Institute of Politics at Harvard and as a Menschel Senior Leadership Fellow at the Harvard T.H. Chan School of Public Health, emphasizing her career-long position that public health and the environment are critically interconnected. "With a keen interest across sectors in cleantech, climate change and lowering greenhouse gas emissions in Ontario, Gina McCarthy will be speaking at Discovery at an ideal time," says Dr. Tom Corr, OCE's President and CEO. "Her direct and practical message of environmental protection based in science is an exciting addition to this year's amazing line-up of speakers." Named Canada's Best Trade Show in 2010, 2011, and 2016, and celebrating 12 years of bold, new ideas, OCE's Discovery is Canada's premier innovation showcase. It brings together the best and brightest minds in industry, academia, investment and government to showcase leading-edge technologies, best practices and research in the areas of energy, fintech, cleantech, the environment, advanced health, digital media, information and communication technologies and advanced manufacturing. The annual conference and showcase attracts more than 3,500 attendees and 500 exhibitors. NB: Gina McCarthy is available for media interviews on May 16. SOURCE: Ontario Centres of Excellence Inc. It's Horror Movie Trivia Questions And Answers Time!